MIDDLEFIELD, Ohio — Up and down hills and through unpaved side roads, Daniel Luther says he's on Geauga County roads a lot while he helps drive members of the surrounding Amish community all over. Simply put, he says traveling those roads can be scary. "Especially in the winter times, when the roads are not cleared enough to keep the buggies and the walkers and everything farther from the main part of the road," said Luther. He says even though the horse-drawn buggies aren't going very fast, it's not uncommon for a horse to get scared and step into traffic. "If the road is slippery, you never know what you're going to run into," said Luther. 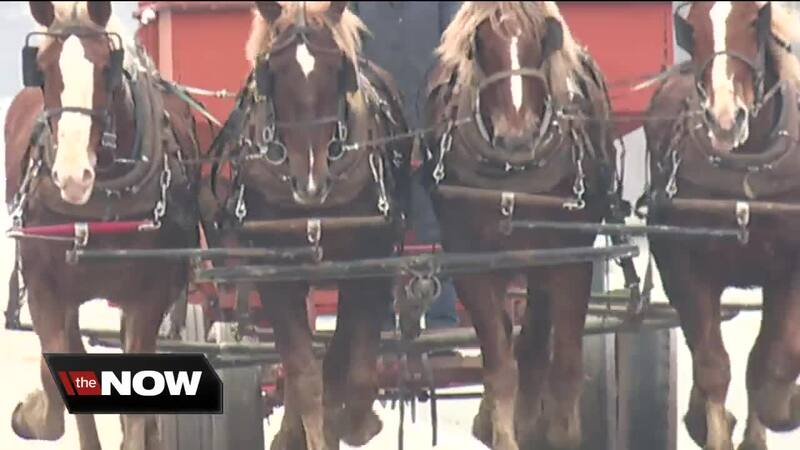 Over the past two years, the Geauga County Sheriff's Office tells News 5 there have been nearly 80 crashes involving Amish buggies with many of them involving some kind of injury. Those injuries appear to be happening at a faster rate than data provided by the Northeast Ohio Areawide Coordinating Agency (NOACA) , which said from 2010 - 2014, there were 83 crashes and a few fatalities. "A lot of these roads are 55 miles per hour zones and a horse and buggy are traveling at about 5 - 8 miles an hour," said Geauga County Sheriff Scott Hildebrand. "Those buggies are made out of wood. They're wood spokes, a wood box on them, and they just disintegrate." Help is on the way from the U.S. Department of Transportation's Better Utilizing Investments to Leverage Development (BUILD) discretionary grants. 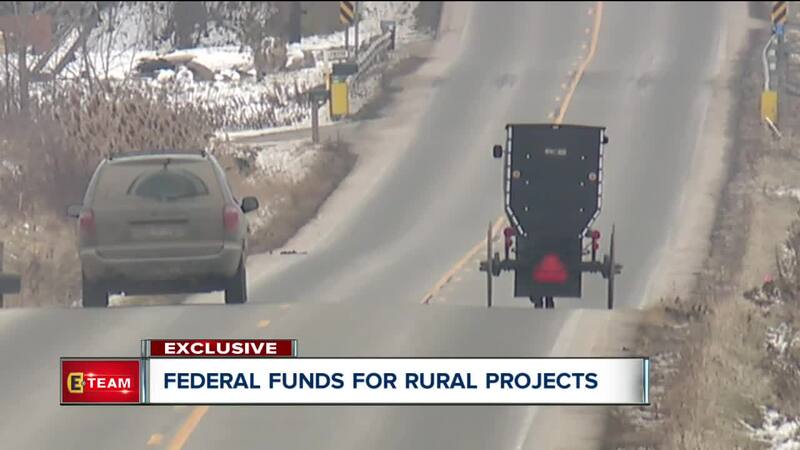 $9,651,000 is coming from the federal government, helping to complete a $14.3 million project to build more lanes for buggies, allowing them to use the roads while not being in traffic, and adding more warning signs for drivers. The Ohio Department of Transportation and NOACA will cover the rest of the cost. Geauga County Engineer Joe Cattell has been working for a decade on ways to improve road safety, knowing that the Amish population was large and growing. The county started implementing some low-cost options but didn't have the funds, until getting the BUILD grant, to do more extensive work. "The widening the road, getting the right of way, all the engineering and actually making some major improvements such as the road we're standing in front of right now," said Cattell. Two other Ohio projects also got BUILD grants. Youngstown's SMART2 Network received $10,853,192 for a program that will make the downtown area more walkable and eventually introduce autonomous transit shuttles to the city. The Appalachian NGL Hub Rail Transloading Facility got $20 million to "construct a pipeline-to-rail trans-loading facility at an energy terminal," according to the U.S. Department of Transportation website. Across the nation, the BUILD grant money went to 62 rural projects like the one in Geauga County. 29 of the projects were in urban areas. "I was disappointed," said Angie Schmitt, national reporter for Streetsblog USA, a non-profit covering transportation policy. What's now the BUILD grant used to be called TIGER grants, for Transportation Investment Generating Economic Recovery, and generally targetted projects in urban and suburban areas, not rural communities. "It was like two-thirds urban and another third rural, which actually matches up with how the population is pretty well," said Schmitt. The shift isn't by mistake. Over the past ten years, Ohio cities and suburbs have secured more than $35 million dollars for a handful of projects, like building up Main Street in Akron and improving or creating new bike trails around Cleveland. "There's a big unmet demand for those kinds of amenities," said Schmitt. Schmitt says there usually isn't much extra money to fund those projects, but TIGER grants focused on urban areas often made the difference. At the same time, rural drivers like Luther say the upgrades will likely cut down on what seems to be a growing trend of crashes involving buggies. "If they do the right roads, it'll help tremendously," said Luther. "It'll make not only our travel easier but it'll make the buggy travel easier."